I love Anti Stress Shower & Bath Gel by Kiss My Face. It lathers well and leaves me clean without frying my skin. - Woodland pine & ginseng. 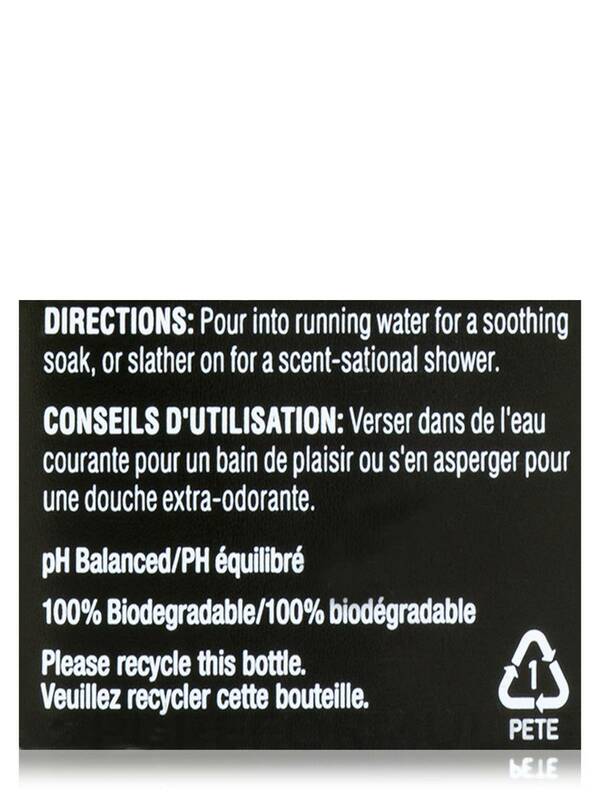 - Relaxing bath & shower gel. Recuperate‚ revive‚ relax. Let the warm‚ calming water drench your body. Soothe and calm your mind. Allow the herbs and botanicals to create a sense of composure‚ a feeling of peace and quietude within your being. Let them soothe your skin. Treat yourself to an "intermission" from life. You'll be ready to face the world again. Treat yourself to an intermission from life with soothing combination of botanicals like ginseng and woodland pine that rejuvenate‚ soothing‚ purify and heal. 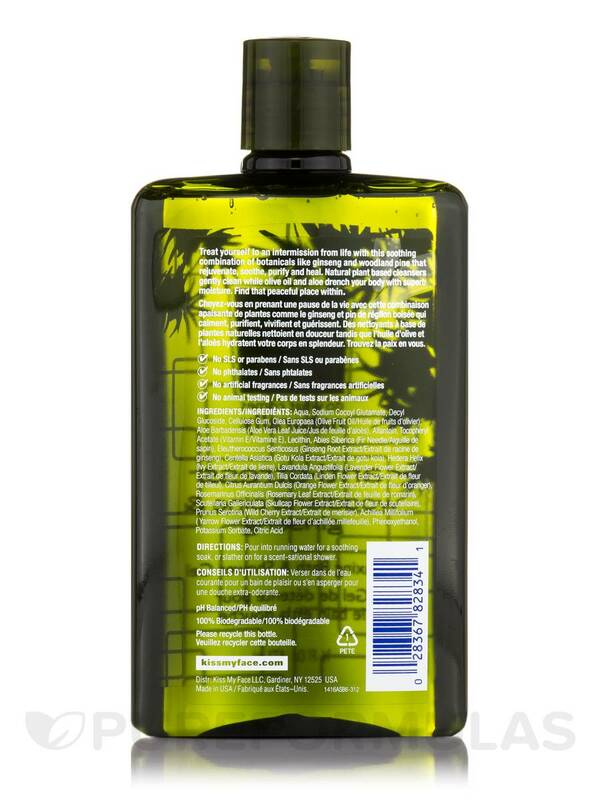 Natural plant based cleansers gently clean while olive oil and aloe drench your body with superb moisture. Find that peaceful place within. Ingredients: Aqua‚ Sodium Coco Sulfate‚ Coco-Betaine‚ Decyl Glucoside‚ Coco-Glucoside‚ Glyceryl Oleate‚ Sodium Chloride‚ Olea Europaea (Olive) Fruit Oil‚ Aloe Barbadensis (Aloe Vera) Leaf Juice‚ Allantoin‚ Lecithin‚ Tocopheryl Acetate (Vitamin E)‚ Abies Siberica (Fir Needle) Extract‚ Eleutherococcus Senticosus (Ginseng) Root Extract‚ Centella Asiatica (Gotu Kola) Extract‚ Hedera Helix (lvy) Extract‚ Lavandula Angustifolia (Lavender) Flower Extract‚ Tilia Cordata (Linden) Flower Extract‚ Citrus Aurantium Dulcis (Orange) Flower Extract‚ Rosmarinus Officinalis (Rosemary) Leaf Extract‚ Scutellaria Gallericulata (Skullcap) Flower Extract‚ Prunus Serotina (Wild Cherry) Extract‚ Achillea Millefolium (Yarrow) Flower Extract‚ Phenoxyethanol‚ Potassium Sorbate‚ Citric Acid. Formulated with: no paraben‚ no phthalate‚ no SLS‚ no animal ingredients‚ Biodegradable‚ no artificial fragrance‚ no animal tested. Gluten free‚ vegan friendly ingredients. Pour into running water for a bubbly bath‚ or slather on for a scent-sational shower. Anti Stress Shower & Bath Gel by Kiss My Face smells so wonderful, I never want to leave my shower. Great in the morning for an energizing start to the day or in the evening to unpack the day and relax before bed. The quality is excellent and the bottle lasts a long time. 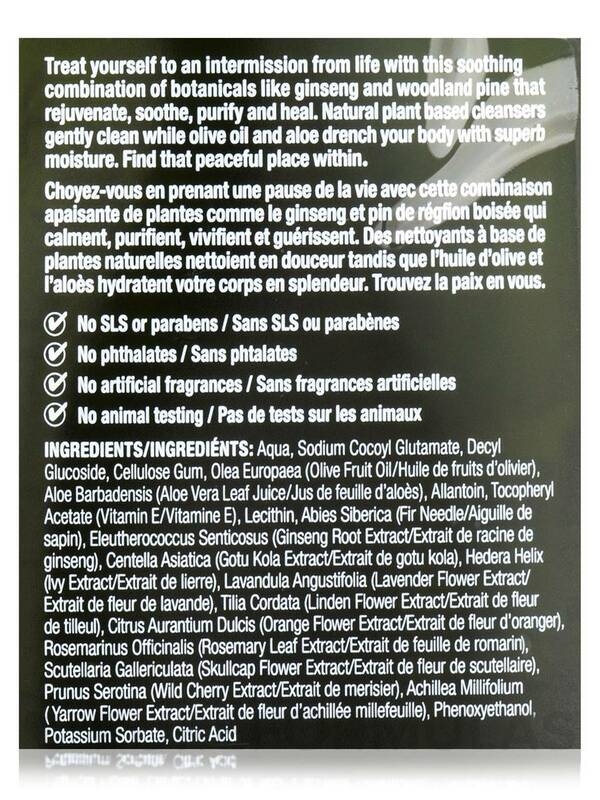 Wonderful smell, extremely soothing, good moisture, cruelty free! Smells amazing and feels therapeutic. Wish the fragrance was a little stronger. 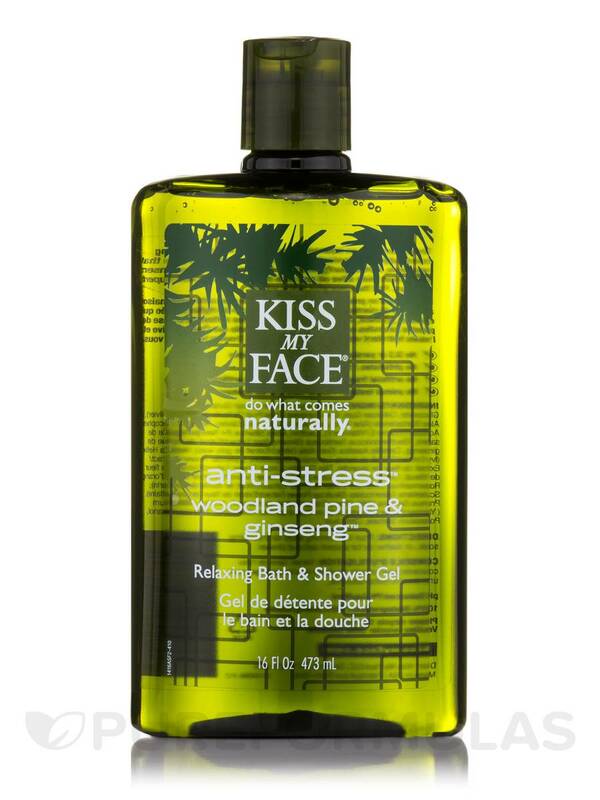 I love Anti-Stress Shower & Bath Gel by Kiss My Face. Really helps you relax after a long day.